“Let us rise above every imperfection” [i] One of four women doctors of the Catholic Church and a patron saint of Italy and Europe, this fourteenth-century mystic resisted her family’s attempts to marry her off. She preached publicly, something not allowed for women at this time. An advisor to popes, Catherine’s theological writings advocated reform. Considering herself the bride of Christ, she practiced self-starvation and died at the age of 33 as one of the so-called Holy Anorexics. To read more about medieval women’s relationship with food, including the phenomenon of “holy anorexia” or anorexia mirabilis,” two standard books provide fascinating details. These books are Caroline Walker Bynum’s Holy Feast and Holy Fast: The Religious Significance of Food to Medieval Woman (Berkeley: University of California Press, 1987) and Rudolph M. Bell’s Holy Anorexia (Chicago: University of Chicago Press, 1985). [i] Petroff, Elizabeth Alvilda. 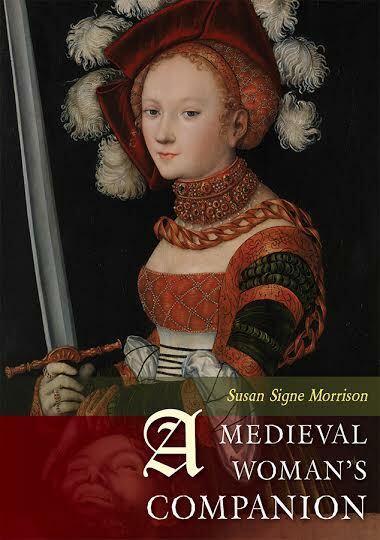 Medieval Women’s Visionary Literature (NY: Oxford University Press, 1986), 269. 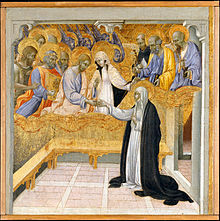 Saint Catherine of Siena proved so popular that two students wanted to investigate her. You’ll find Mallory and Sarah have different perspectives. I hope you enjoy!